Your social media channels are a terrific gateway to reaching your customers, employees, colleagues and friends. CorpNote allows you to easily post eCards, invitations and surveys to your social media friends and groups. 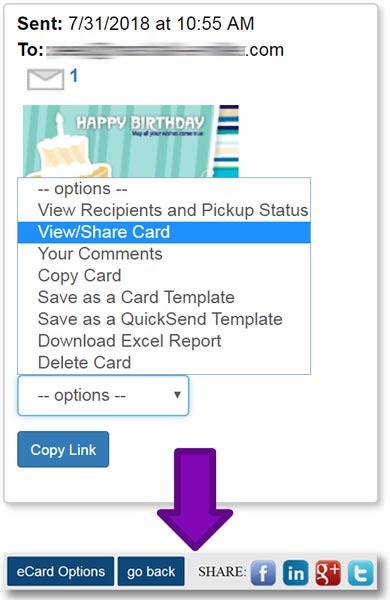 You can either share your eCard by using our 'View/Share eCard' option or you can use our direct link feature. If you want to post eCards in social media other than Facebook, LinkedIn, Twitter or Google+, view our direct link tutorial. To link directly to an invitation or survey response form, view the Invitation Manager or Survey Manager tutorials. When you post an eCard in social media, you do not have as much detail as to who is picking up your eCard. You will see how many times it was viewed but each view will be marked as 'anonymous'. In your 'sent cards' bin, we recommend that you add a comment to the eCard which will help you remember where you posted it. 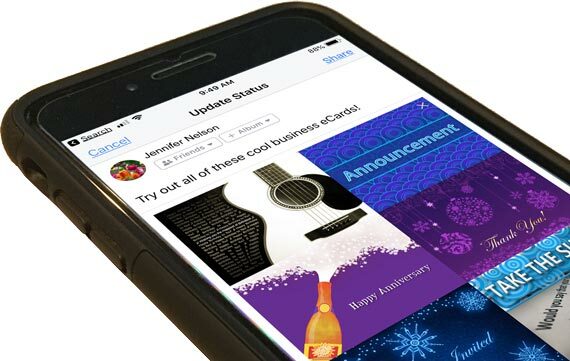 What types of eCards are people sharing in social media? Do eCards Posted in Social Media Websites Expire? Can I change an eCard that has been sent or posted in social media? If you need additional help, please refer to our Online Help Center or complete our Priority Email Support Form.